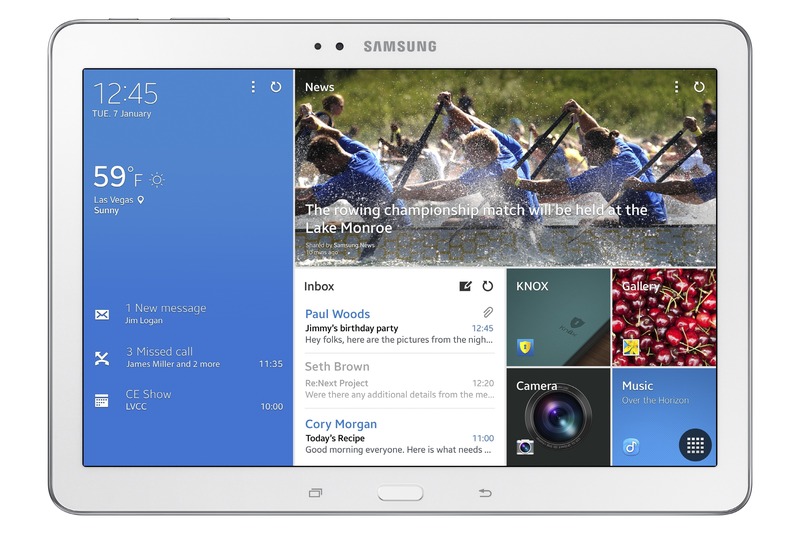 The largest options, the 12.2-inch Galaxy NotePro and Galaxy TabPRO, go for $769.99 and $669.99 respectively. If those are just plain too big, the TabPRO 10.1 costs $519.99, with the TabPRO 8.4 being the most affordable option at $419.99. You can expect to find these products at Best Buy, Costco, Future Shop, The Source, Staples, Target, and or Walmart in the days ahead. MISSISSAUGA, ON, Feb. 12, 2014 /CNW/ - Samsung Canada, market leaders of innovation and progressive design in the mobile industry, today announced the Canadian availability of the Galaxy PRO Series, allowing Canadians to Play More, Do More and Share More. Rolling out to retail shelves at the end of February through to the end of March, the PRO Series offers a superior viewing experience and unmatched productivity tools that will make Canadians feel like a PRO in every situation. The GALAXY PRO Series includes the GALAXY NotePRO which comes with a 12.2-inch screen as well as the GALAXY TabPRO which comes with a 12.2-inch, 10.1-inch or 8.4-inch screen. 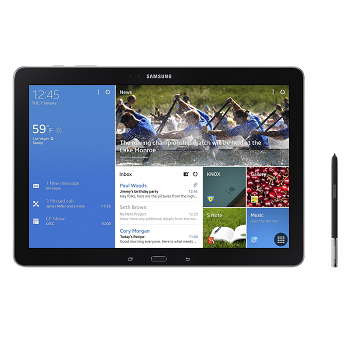 "The GALAXY PRO Series showcases Samsung's continued commiment to groundbreaking innovation and setting new benchmarks in the tablet industry," said Paul Brannen, Senior VP, Enterprise and Mobilie Solutions, Samsung Canada. "The GALAXY NotePRO and TabPRO offer top of the line productivity tools as well as the best viewing experience possible. This series is truly game changing and further establishes Samsung's leadership in the mobile space." The GALAXY NotePRO 12.2 and GALAXY TabPRO 12.2 are the world's first tablets to employ a 12.2-inch WQXGA Widescreen (16:10) display, which offers more than 4-million pixels and a crystal clear resolution (2560X1600) for the ultimate Full HD viewing experience. Equally impressive, the GALAXY TabPRO 10.1 (2560X1600) and GALAXY TabPRO 8.4 (1600X2560) screen resolutions allow users to experience their favourite content like never before. Combining premium style with powerful performance, the new tablets are perfect for every type of user and integrate seamlessly with Samsung smartphones and UHD TVs to create an unparalleled second screen experience. *Note: All GALAXY PRO Series models may not be available at all retailers. 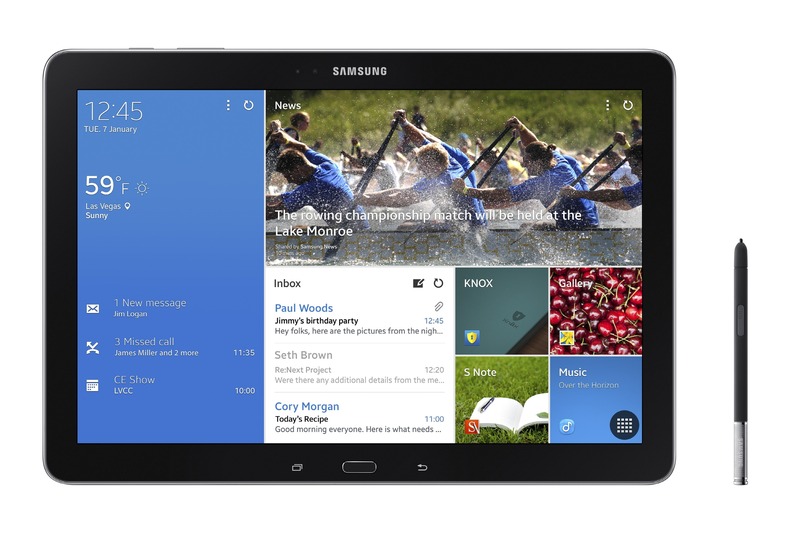 For additional value and productivity right out of the box, the Samsung Galaxy NotePRO and TabPRO will feature premium pre-paid, long-term subscription offers from best-selling news, social media and cloud storage providers, including: Bitcasa, Bloomberg Businessweek+, Blurb, Cisco WebEx Meetings, Dropbox, Easilydo Pro for Tablet, Evernote, Hancom Office for Android, LinkedIn, LIVESPORT.TV, NY Times, Oxford Advanced Learner's A-Z, and Sketchbook Pro. Exclusive to Canadian consumers, Samsung GALAXY Pro customers receive a special offer to access three months of Next Issue Canada, which offers readers easy, unlimited access to a catalogue of more than 125 popular Canadian and U.S. magazines, including Maclean's, FLARE, Vanity Fair, Vogue, Sports Illustrated and Chatelaine, plus their back issues, all in one app.